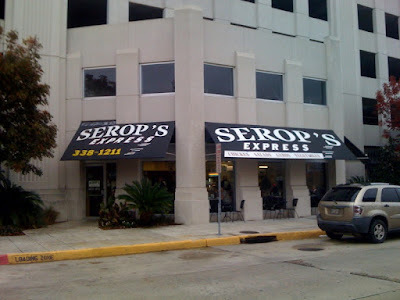 Among the numerous dining establishments available to the daytime crowd in downtown Baton Rouge exists Serop's Express. This quick and easy lunch spot features fresh Greek and Lebanese food for the business and government crowds. 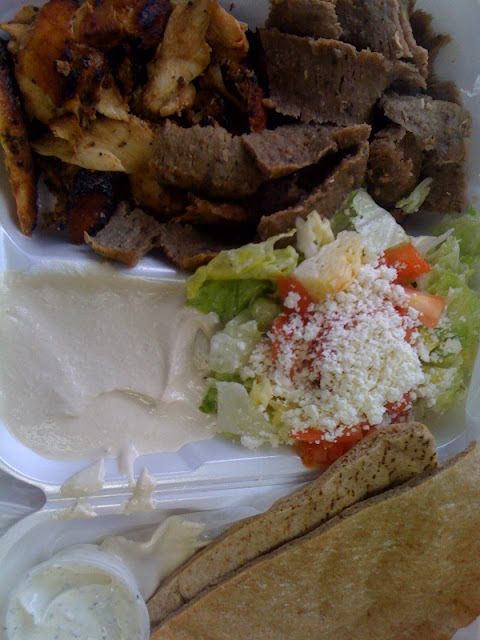 Sitting at the base of the Galvez parking garage right around the corner from the Main Street Market, Serop's serves garlicky chicken shawarma and tender lamb gyros along with their collection of classic European side dishes. I have a usual order when I eat at Serop's. I typically get the combination plate with both chicken and lamb. I add hummus as one side and rotate the other side item between everything else on their menu. I ask for wheat pita bread, and the meal comes with Grecian sauce. The last time I went I was trying to be slightly healthy so I get my rabbit food in with a little feta salad. 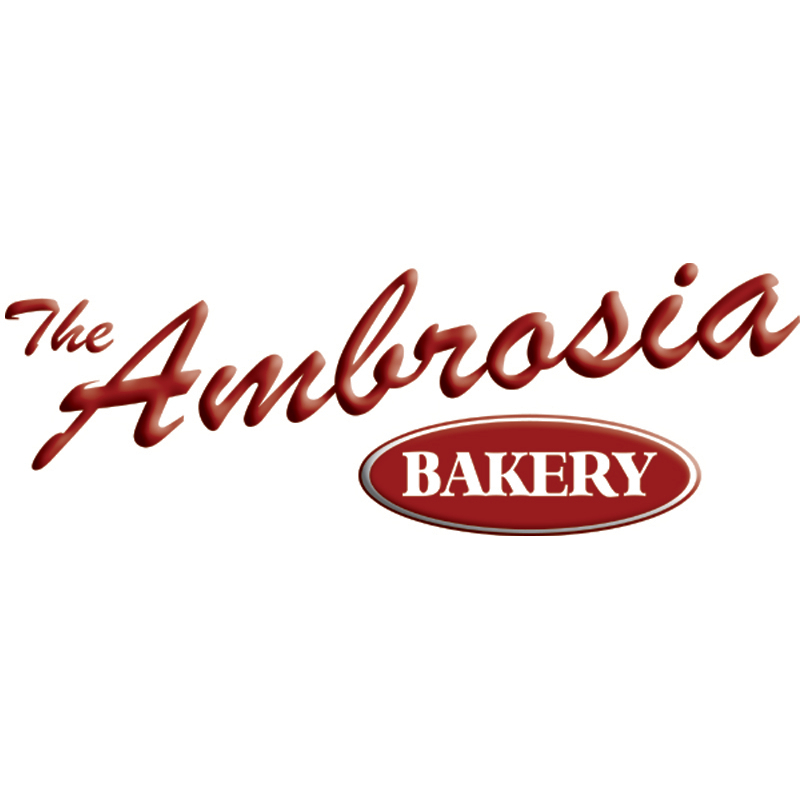 The Baton Rouge community is actually known for its outstanding selection of Greek and Lebanese food. Serop's Cafe has several locations around town, with this downtown spot being an "express" lunch only joint. 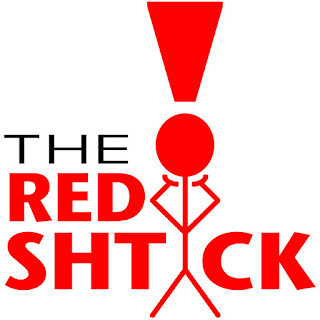 I'm sure that I'll get around to reviewing some other places as time goes on. The downtown Serop's Express offers good food for a nice price with quick service, but the overall quality is nothing special compared to the other great Mediterranean cuisine around the city. The chicken and lamb are sometimes a little dry from being pre-sliced for efficiency and the hummus is a little runny for my personal tastes. Still, I'll go back for the downtown convenience and the filling combo plate that is under $10! You know, I think I got spoiled by BR's excellent lebanese restaurant selection. Once I moved back down to NOLA, I was completely disappointed by their lack of options. There are a few uptown and downtown, but surprisingly less than BR, and they're usually a lot more expensive. No doubt man. 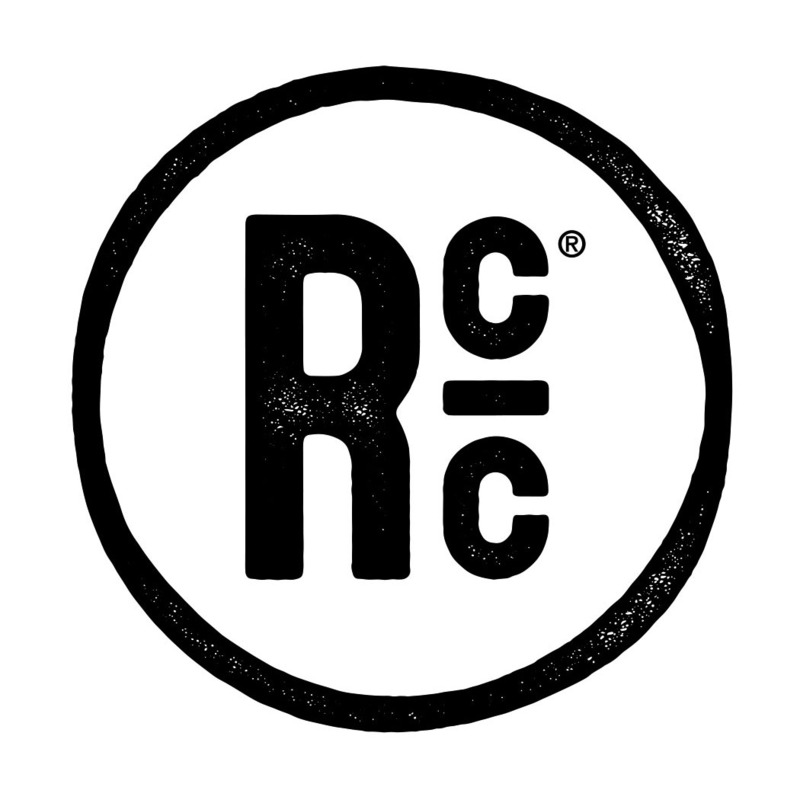 BR really is amazing great for our selection of both great and value Greek and Lebanese food. You can find it everywhere, and it is always good.